As the first century of Lithuanian statehood approaches, a great deal of thought is given on how it should be celebrated. What should be done? A memorial? A grandiose commemoration? Or perhaps we should simply celebrate? Because a century is a huge victory for modern Lithuania. No doubt it should be a global celebration, lasting years, touching and bringing together the whole of the Lithuanian world. It’s the perfect opportunity for the move to modern, leading Lithuania, to create a new Lithuania of the World. The most appropriate manner of celebration is action. 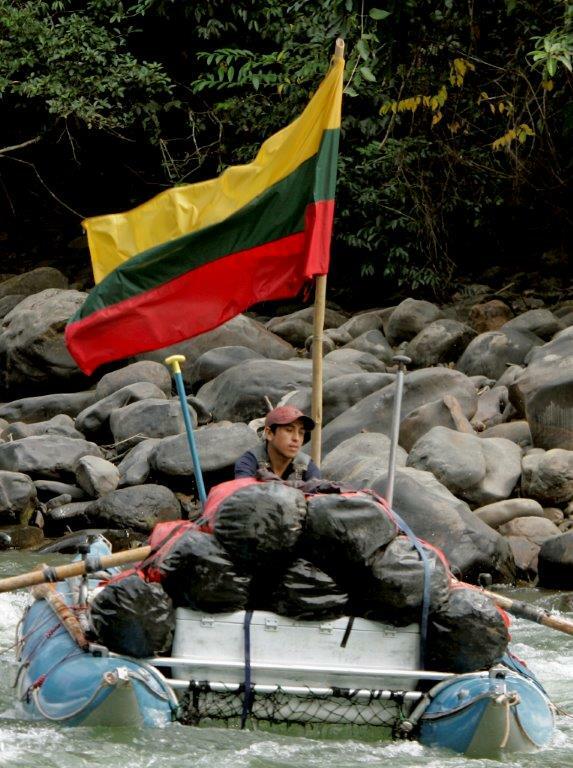 Our choice is a trek across the world – “Mission Lithuania 100”. It is a grand three year journey across and through the world. 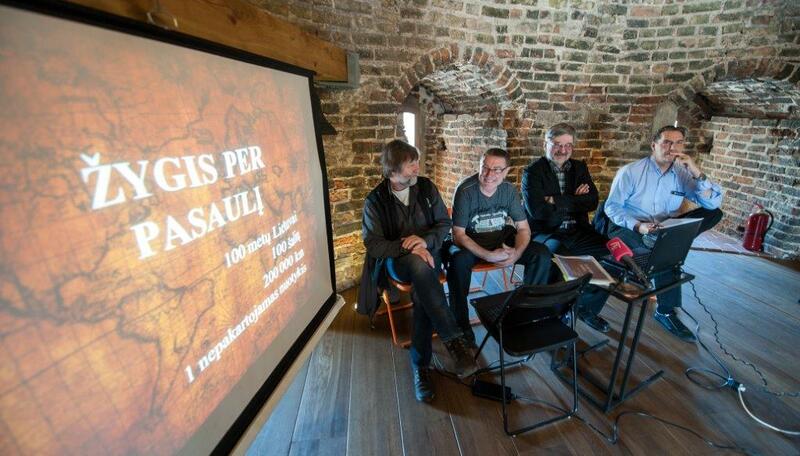 We will visit a hundred countries to honour the Lithuanian century. Using several vehicles, often off-road, we plan to go 200,000 kilometers, visit hundreds of Lithuanian communities, proclaim Lithuania’s name and celebrate its victory. It is a project by experienced travelers – the Wanderers club, which will require much support and participation from those partial to the celebration. It’s a big project that can be accompanied by significant events around the world. And it’s a project that can be joined by many: driving, volunteering, support, and celebrating. The trek can involve hundreds of Lithuanians from around the world. The preparatory work has been going on for several years. The start of the trek is scheduled for summer 2017. The time is now for the energetic stage of the project – let’s act together. Let’s discuss, dream, improve, and countdown together.